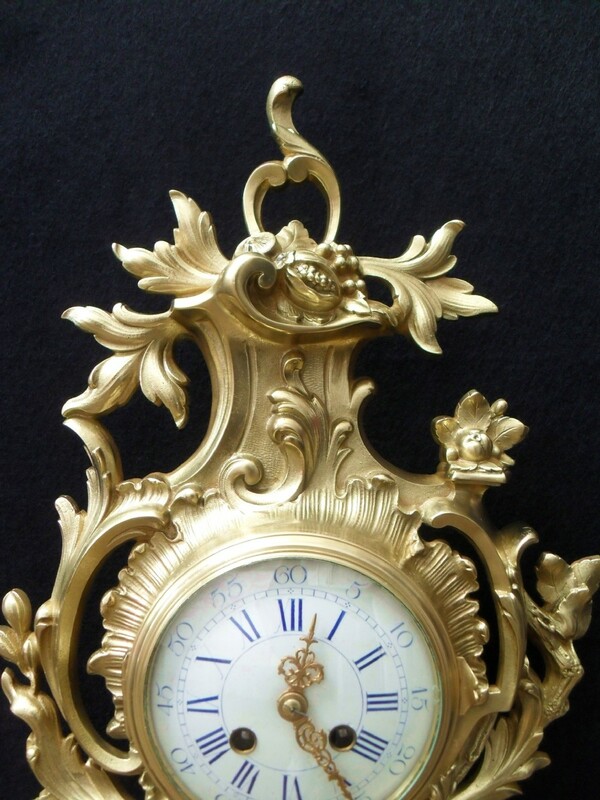 A decorative French bronze gilt ormolu cartel wall clock in the rococo style with floral and scrolling leaf design. 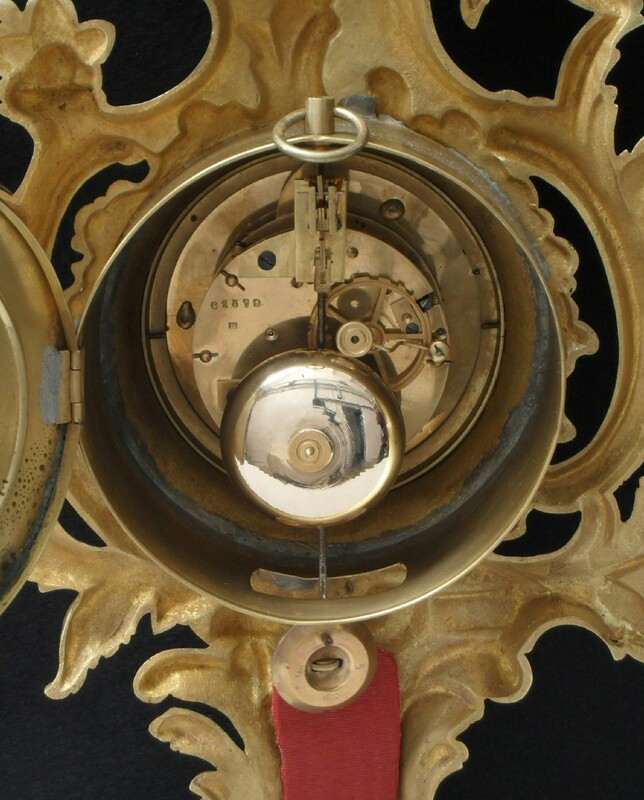 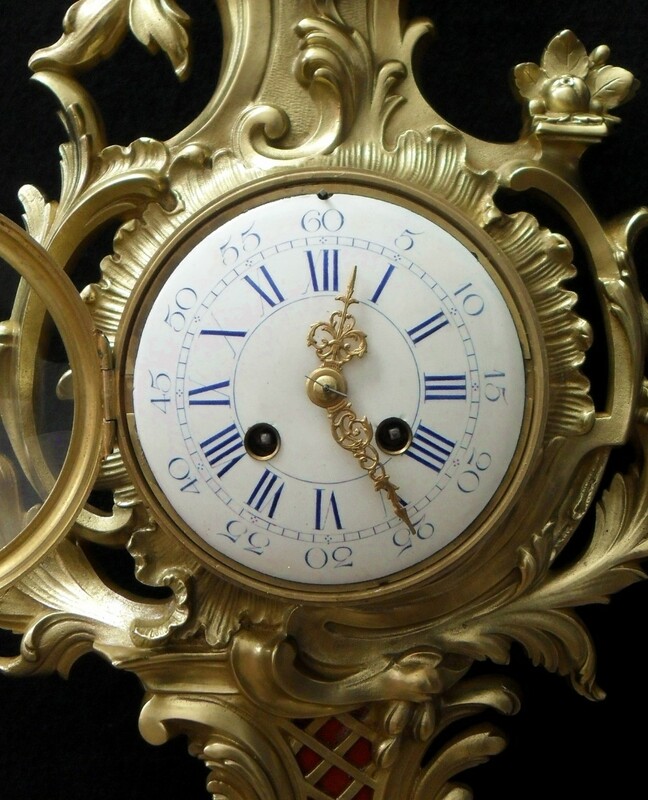 The clock has a white enamel dial with roman numerals and a French eight day movement which strikes the hours and half hours on a bell with outside count wheel. 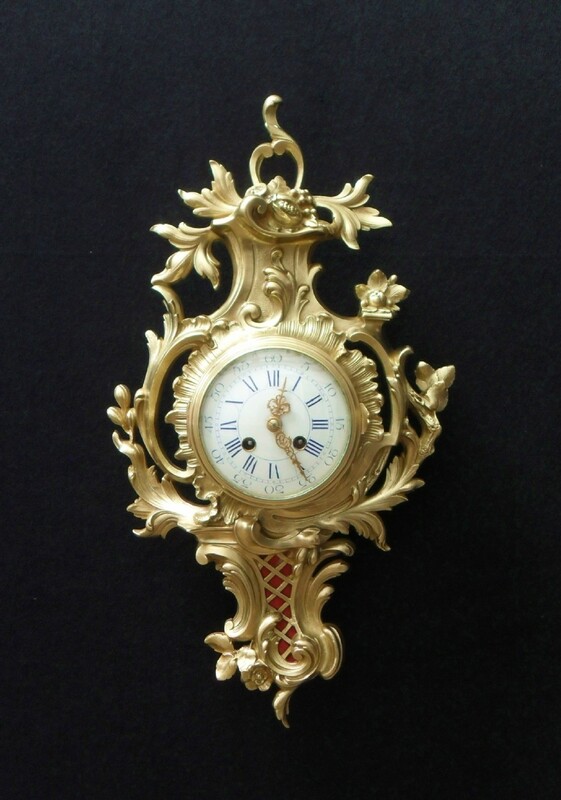 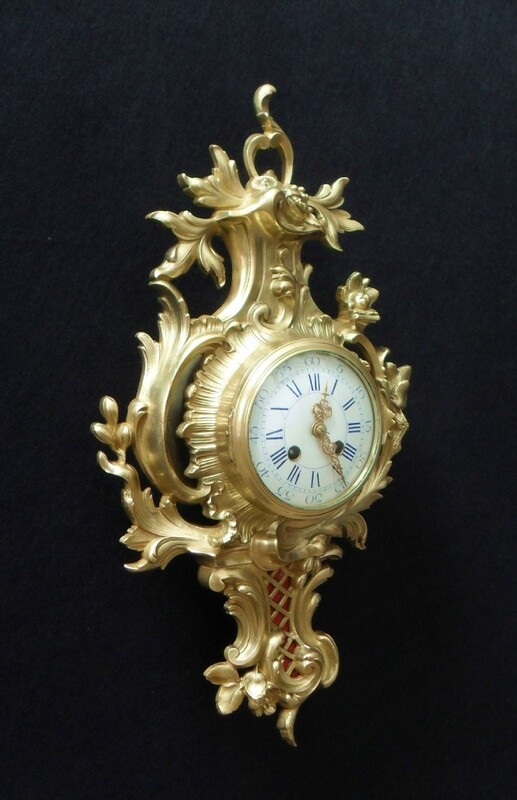 The French Bronze Gilt Rococo Style Cartel Wall Clock has been added to your saved items.